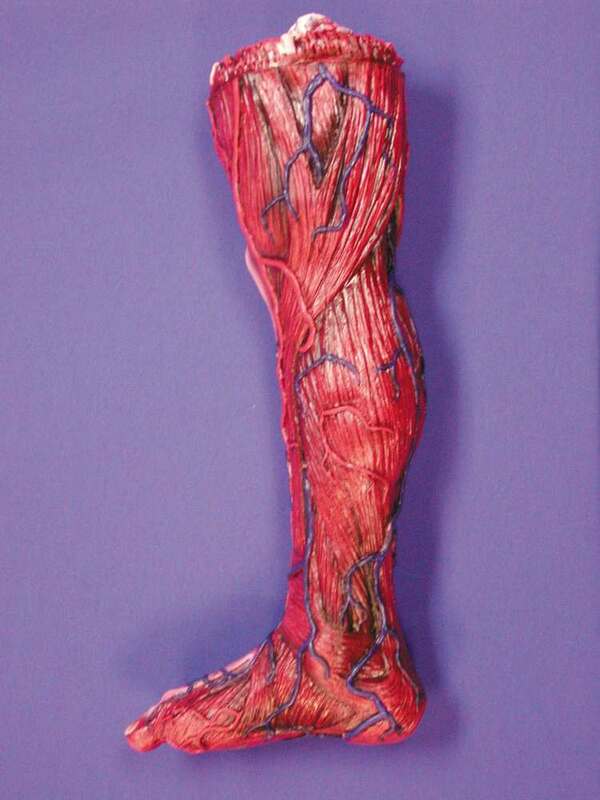 These skinned body parts have all had the flesh torn away revealing the vein covered muscles and tendons. All are life-size Halloween props and totally gross! Leg measures approximately 22" long.